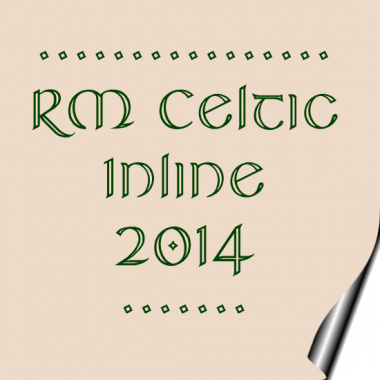 Clone of RM Celtic open. (Modified to comply with the 48 brick high maximum). Info: Created on 1st February 2014 . Last edited on 2nd February 2014. What a wonderful addition to the original. I'm with beate. Superb, m+st+r! Definitely, I have no choice in front of you, my masters (I like to learn!). Thanks for giving us all that! 48 bricks high, Ray? That's really pushing faux curves in a smaller grid space. At a quick glance, there are inline shards sticking out in the A and D when zooming in. Also, lowercase g has a bottom fragment separated under the loop. Nice and clean output on the samples. @geneus1: Cheers 'eagle-eyes' I saw (and amended) the fragment at the bottom of the 'g' ... but couldn't really see the problems with the A and D.
To fit this into 48 bricks is huge task. Great work. an instant classic. words just don't do it justice. good luck. Congrats for the well deserved Honorable Mention, m+st+r! Wonderfull work! Congratulations! FontStruct Staff have deemed your FontStruction worthy of special mention. 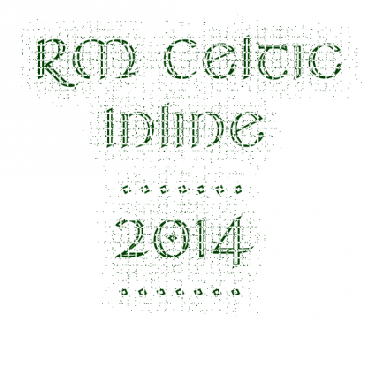 “RM Celtic inline” is now a Top Pick. Ray, we miss you very much.